Known for its ability to attract butterflies, the Woolly Butterfly Bush(Buddleia marrubiifolia) grows well in southern and central Arizona. 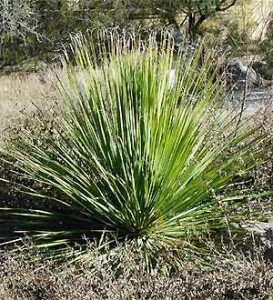 Native to the Chihuahuan desert, it is very tolerant of heat, intense sunlight and drought. 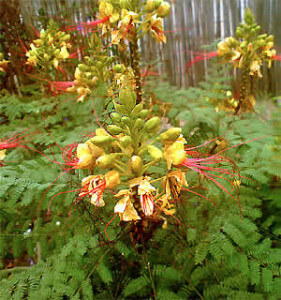 It grows to 5 feet tall with an equal or greater spread. 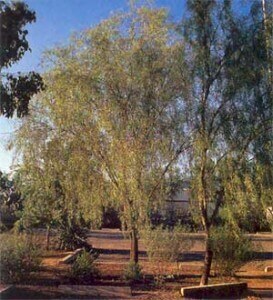 Its grayish green leaves are elliptical and covered with fine white hairs giving this plant a soft, fuzzy look. From March to August the woolly butterfly bush blooms small, bright orange colored flowers. These intricate, globe-shaped flowers are no more than half an inch in diameter, yet they are extremely attractive to butterflies which find them a rich source of nectar. 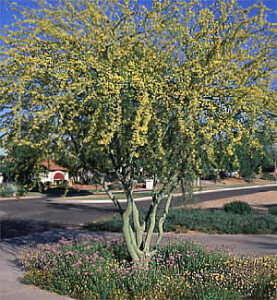 People who like formal landscapes might be frustrated by this plant's informal growth habit and its inability to conform to a prescribed geometrical shape. 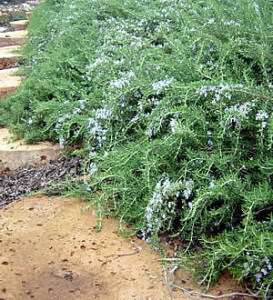 Use it in xeric landscapes, in butterfly gardens, or around pools and other water features for its interesting color and open, airy appearance. Woolly butterfly bush can also be planted in groups as an informal hedge. Plant woolly butterfly bush in full sun locations and in soil with good drainage. It does not grow well in heavy clay soils. Water established woolly butterfly bush infrequently — every two to three weeks in the spring, every week or two in the summer, and once per month in fall. Rely on natural rainfall in the winter. Woolly butterfly bush will become floppy and subject to rot if given too much water. Fertilize once each year in the spring with ammonium phosphate or an all-purpose plant food. Prune this shrub in the fall to shape and to remove any dead or damaged wood. Every two or three years, cut it back to within a foot or two of the ground to reinvigorate the plant. Woolly butterfly bush can be susceptible to aphid infestations. Control aphids by washing them off with a strong stream of water from a garden hose or by applying Neem oil.